Catering for All that Flatters the Palate! A 50% Deposit must be received with a signed contract. Payment in full is due on the date of the function. 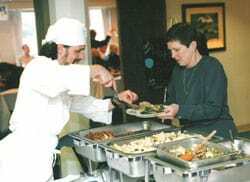 We offer many rental items such as linens, tableware and equipment. Click our Rental Link for more information. During non office hours, please leave a message.